Following the success of its award-winning Shireburn Indigo Payroll, the latest developments on the HR front were announced to more than 200 local businesses at a launch seminar organised by Shireburn last Thursday 15th November. With already more than 43,000 employees’ payroll and leave being managed by the Shireburn Indigo Payroll solution, Shireburn now launched their cloud-based Time and Attendance module to further streamline all people management processes for local businesses. This will strengthen the Indigo platform with shift and attendance management, scheduling and rostering, exceptions handling, cost control and budgeting as well as vital automatic linkages with leave and payroll. Local companies, particularly those that employ a dispersed workforce, or whose operations are dependent on efficient work scheduling, such as hospitality and manufacturing, can begin to make use of these additional features as of January 2019. John de Giorgio, Managing Director of Shireburn Software explained that the successful take up and feedback on the Indigo platform has this far been highly positive, with over 2,200 Malta-based companies utilising Shireburn’s cloud solution increasingly on the rise. 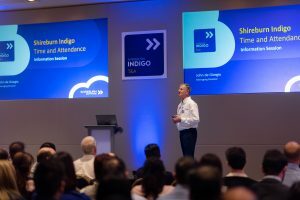 “We’ve invested considerably in having the most practical solution designed and implemented by the team with the best skillset and latest technology to be able continue to serve our customer base, whilst developing the Indigo platform further. Work is also on-going to bring the company’s financial and inventory systems onto the Shireburn Indigo platform. 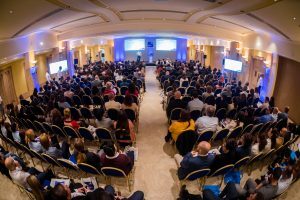 Undoubtedly the key to our success has been the talent and innovation from within the company, and our uncompromising customer support service levels backing companies from those with 10 employees to those with over 1,500 employees” said John de Giorgio. Shireburn Indigo’s cloud technology, coupled with a user-friendly web-based interface has made its popularity soar within the local HR and payroll community. In addition, its many unique features and self-service employee portal particularly useful for the online leave application and approvals process, have placed it at the forefront of innovation in its field, winning the MCA eBusiness Award for Best B2B application. Shireburn this year also celebrates its 35th anniversary, having come a long way from its beginnings as an IT training company. Now with a team of 63, and a wide customer base, Shireburn continues to expand and grow its accolade of local and international awards.